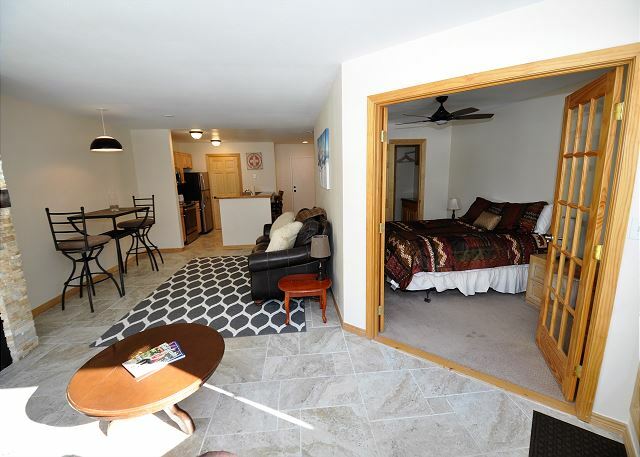 Managed by Gore Creek Properties, this great 660 square foot East Vail condo has 1 bedroom and 1 bathroom and can sleep 4 people. 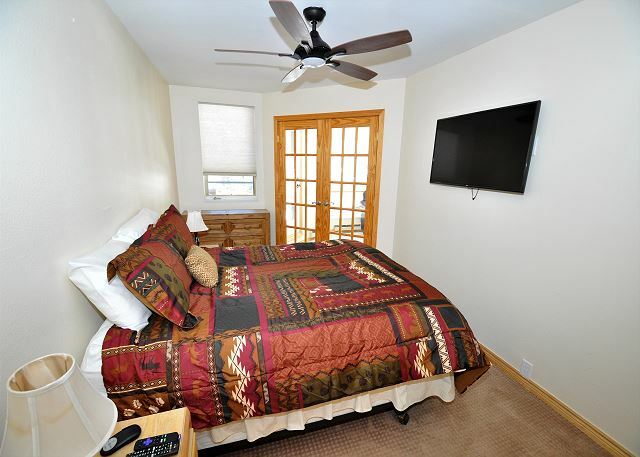 The bedroom has a Queen bed and there is a Queen size sleeper sofa in the living area. 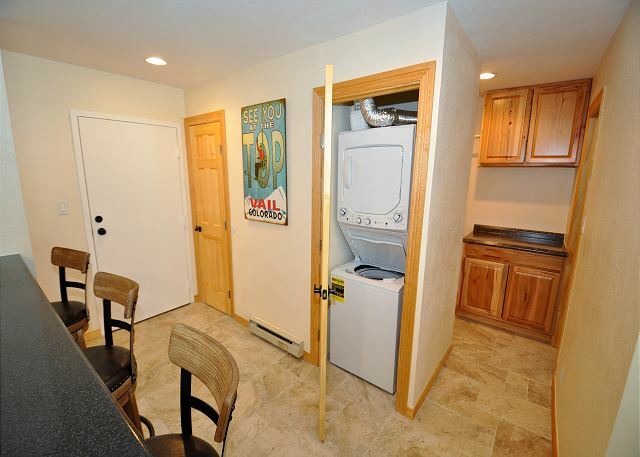 The condo has a wood burning fireplace and firewood will be supplied for you during the winter. This condo does have a washer/dryer. There is a community hot tub and a heated summer pool, with the added bonus of a market and liquor store right by the condo. The bus stop for the free Town of Vail shuttle is also right in front of the complex.The bus runs into Vail village every 15 minutes during the winter. 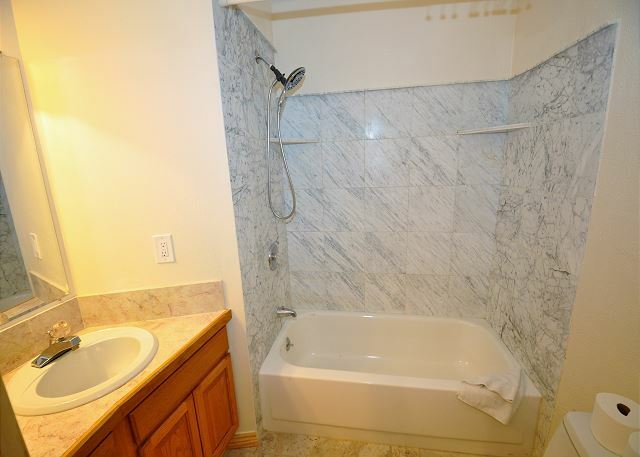 This is a great location for vacationers in both winter and summer.This property does not allow any pets and is NON SMOKING. . This place was comfortable and so close to the ski mountains. My boys and I were very excited to be together for some snowboarding . This condo worked out perfectly. We had a great experience at the Pitkin Creek condo. We unexpectedly arrived much earlier than planned, and were able to get inside the condo immediately. 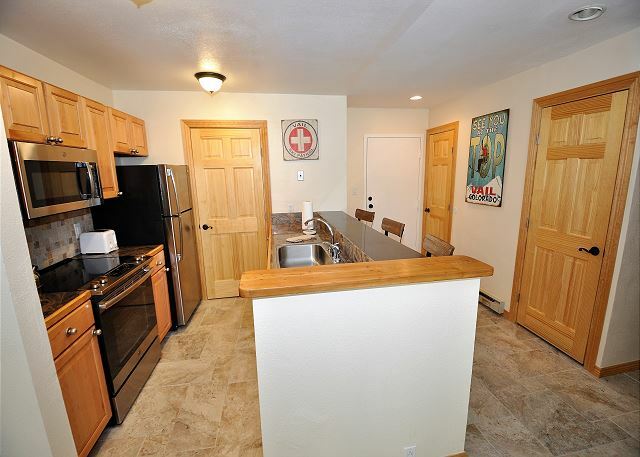 The condo is right on the Vail free shuttle line and directly above a convenience/liquor store. Was the perfect ski rental! NICE PLEASE, 10 MIN FROM VAIL TRANSP CENTER IN THE FREE ROUTE. Only issue we had was we could not get the TV to work. There were 5 remote controls and none of them could get the channel to change.